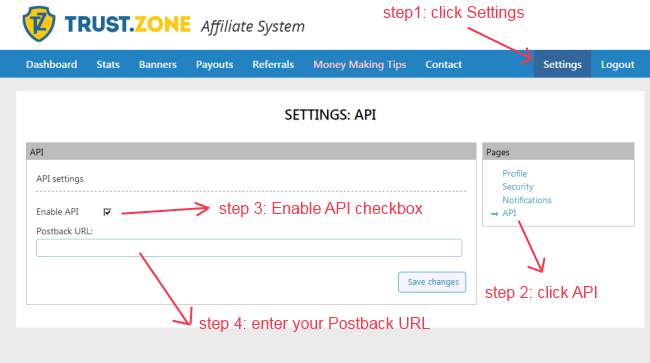 The solution is adding a special parameter (subId=...) to your affiliate link. When sale has been done, we send a notification (a postback) to you with your earnings value. You can now understand which of your visitors generated a sale. Please take in mind, we don't send any details of the visitors to affiliates because we don't track users on the website or app. So, we don't know GEO, gender, personal details or anything else. With postback, you can understand your source who made a sale and your earning only in live mode. somevalue is a value you set. It should be max 32 symbols text value. Our system will add parameters subId and cp.ap automatically! Please, feel free to contact our team if you have any questions.